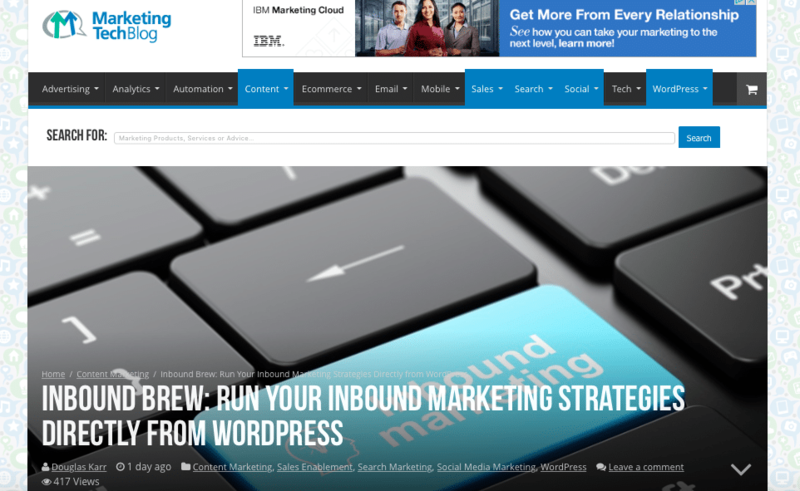 Here at Inbound Brew we love to hear what you have to say about our free marketing plugin for WordPress, the Inbound Brew Plugin! Last week we were flattered when tech expert Douglass Karr gave our plugin his stamp of approval! Visit the link below to read what this guru has to say about the Inbound Brew plugin! If you’re ready to give our all-in-one marketing plugin a test drive, visit this link to get your FREE download today! Thanks again for the feature Douglas! Happy marketing, friends!